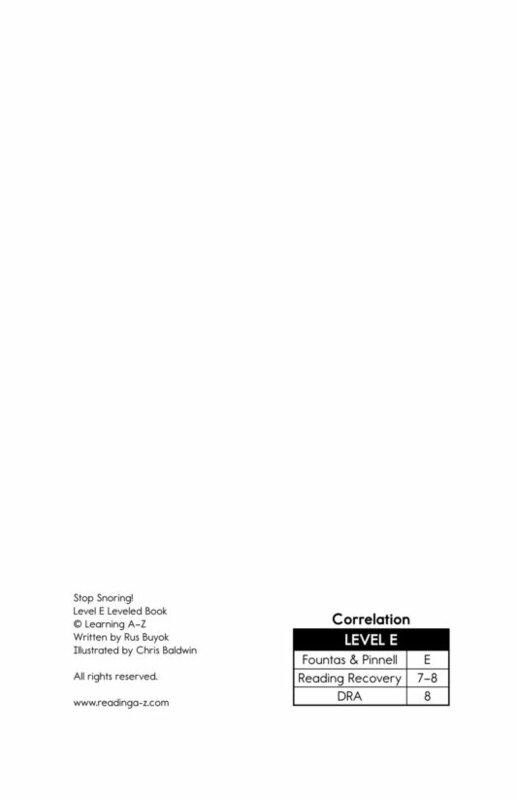 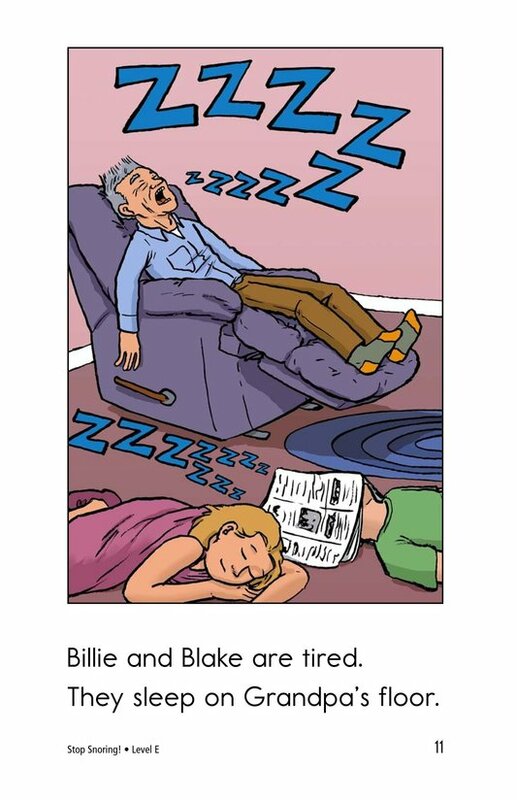 > Books > Leveled Books > Level E > Stop Snoring! 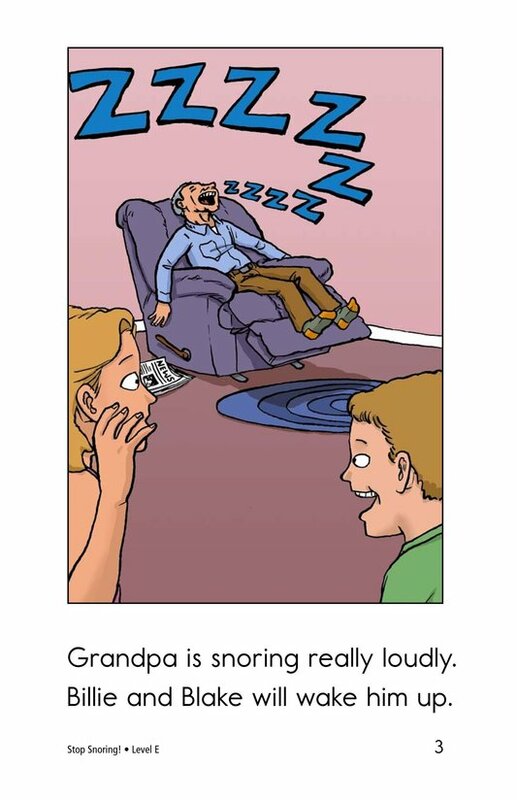 Grandpa is snoring really loudly. 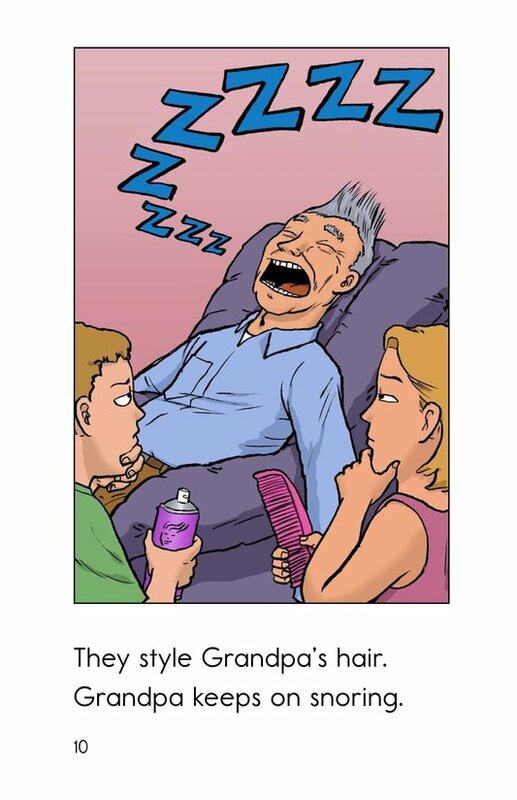 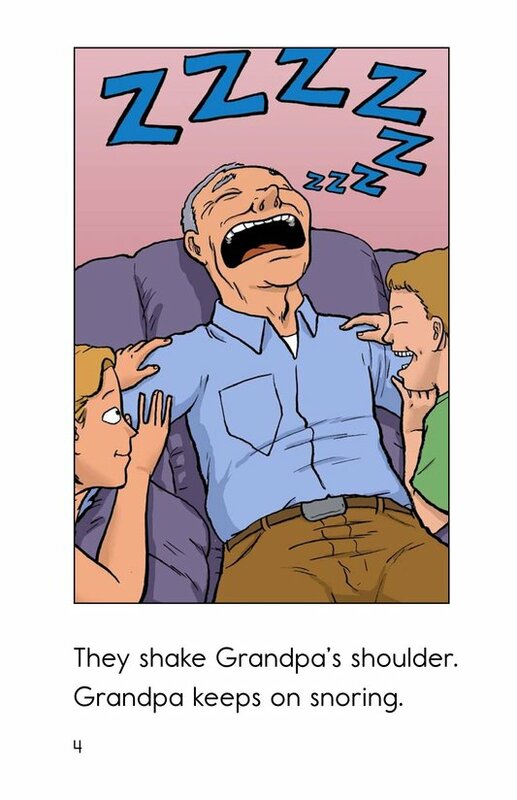 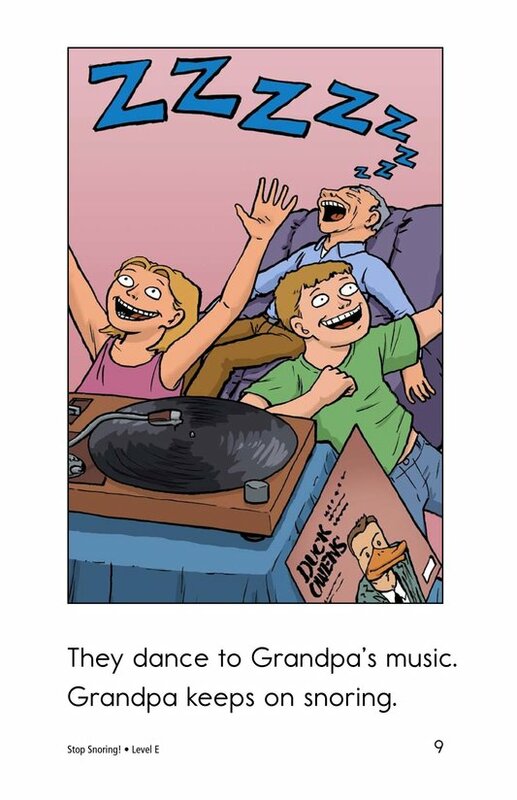 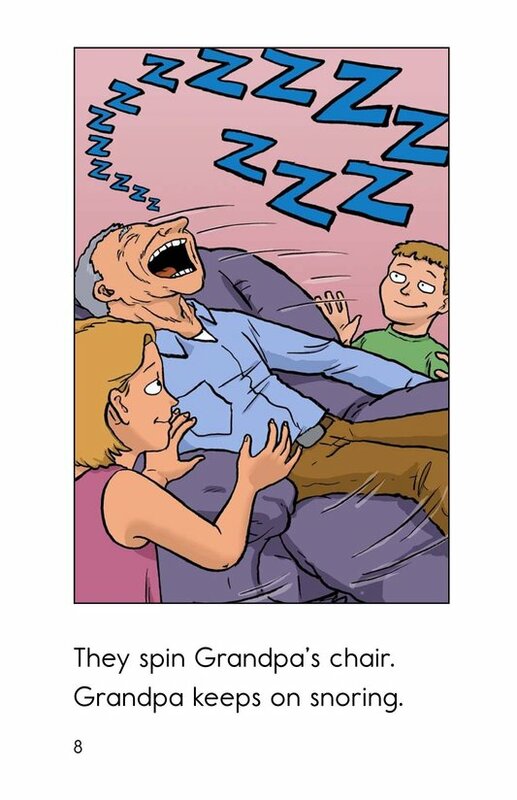 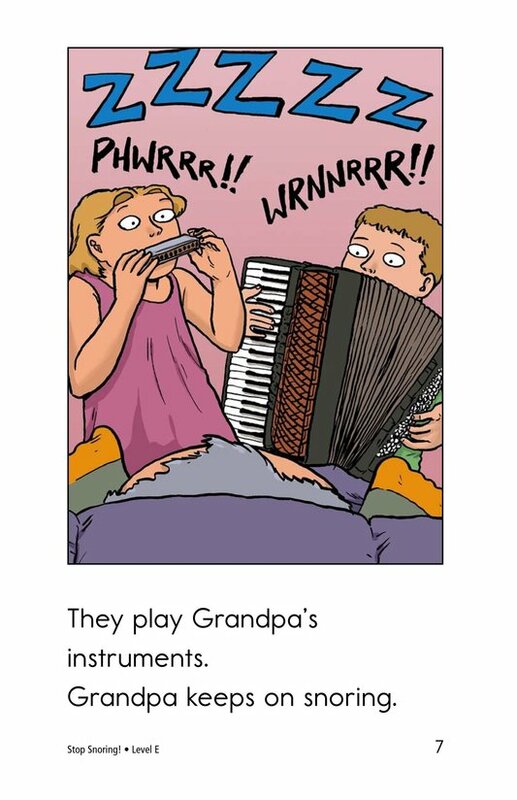 In the book Stop Snoring!, students will read about the many ways two kids try to make Grandpa stop. 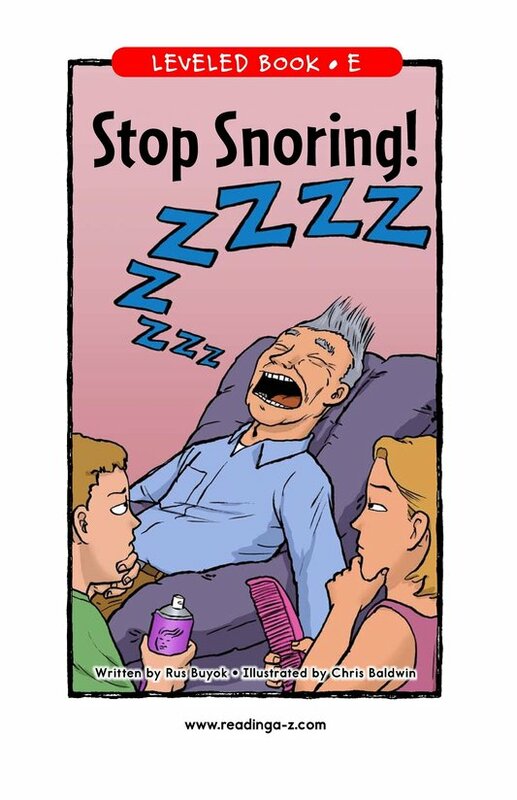 No matter what they try, he keeps on snoring. 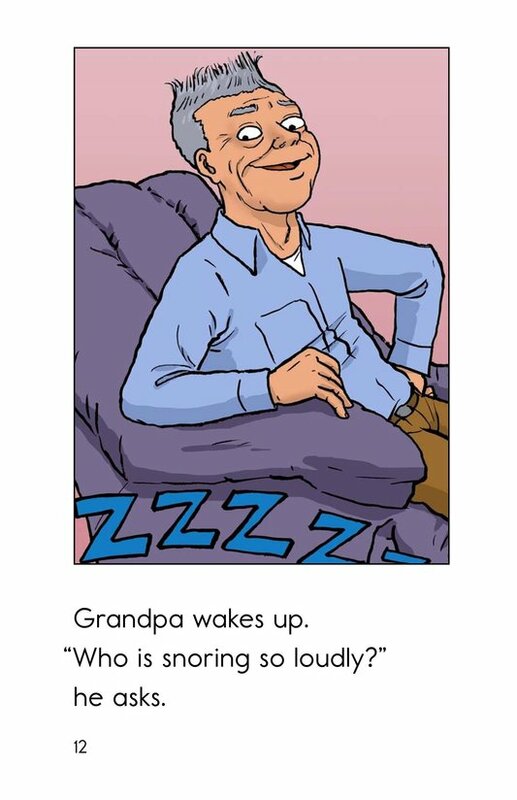 Emergent readers are supported by high-frequency words, repetitive phrases, and detailed illustrations. 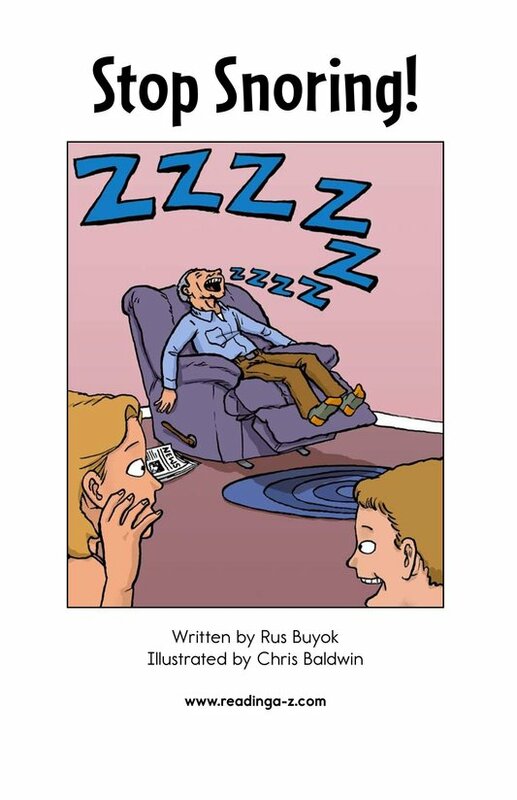 Students will have the opportunity to identify characters and setting as well as connect to prior knowledge as they read this entertaining realistic-fiction story.